Brilliant Ghostzapper earned Hall of Fame honors for his exploits on the track before developing in to a phenomenal sire responsible for multiple champions and over 60 stakes winners. This colt hails from an incredible female family. His young dam, already responsible for two winners, is a half-sister to seven black-type performers including two millionaires. 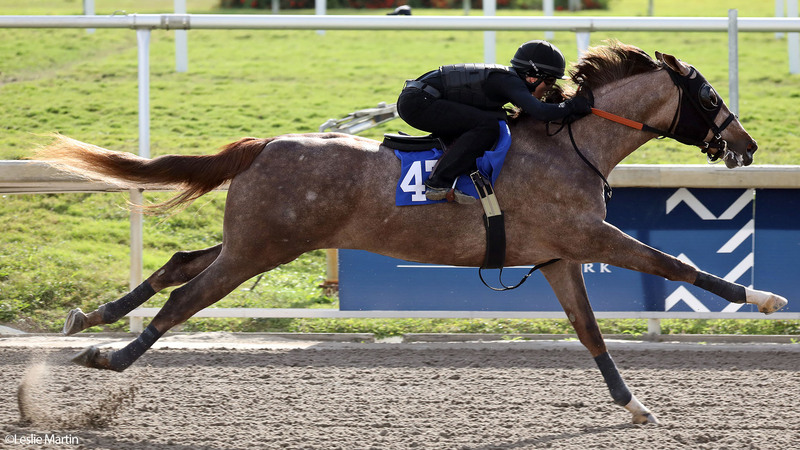 This colt shipped to Paula Parsons in Middleburg, Virginia following the Fasig-Tipton Gulfstream Sale where he will prepare to head to the track. Interests in the 2019 Hallandale, LLC are still available. Please contact us any time for details.